It is among Audi's best-selling cars in India along with the Q3 SUV. 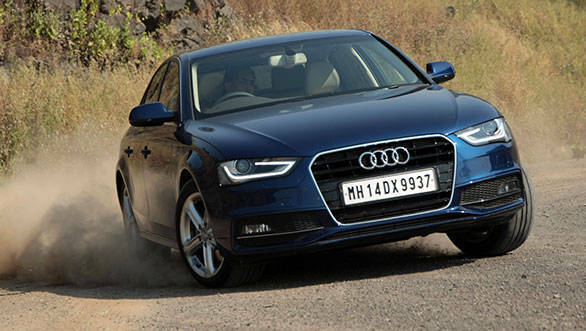 But that hasn't stopped the German car maker from experimenting with the A4 sedan, be it trims or engine options. We have had the 3.2-litre quattro and the 1.8-litre front wheel drive options in petrol, and the front wheel drive 2.0-litre and the 3.0-litre quattro in diesels. Eventually, the quattro in petrol was discontinued and the 3.0-litre diesel quattro is only available on order. What remains, therefore, are engines that are only as good and powerful as ones that come in other Volkswagen Group cars that are a lot cheaper, namely the Skodas. And then to make things more challenging, the new Passat rolled out in 2011 with a more powerful version of the 2.0-litre diesel under the A4's hood. It made 177PS compared to 143PS developed by the Audi. This, obviously, couldn't have gone down well with Audi owners, especially those who take driving seriously. 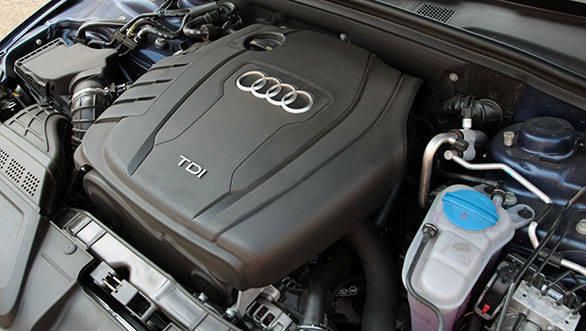 So now, two years after the new Passat's debut, Audi has finally put the same engine under the A4 hood. It will sell alongside the 1.8-litre petrol and the 143PS version of the 2.0-litre diesel. So what's changed? The engine of course is the same as the older 2.0-litre diesel; the construction, the bore and stroke, the compression ratio and even the technology employed ? variable valve lift and the variable geometry turbocharger ? are all identical on the two engines. The additional power and torque then is courtesy a rewired ECU. Both use the same Multitronic or CVT gearbox, which drive the front wheels. And it is the finest functioning CVT we have experienced on any car. It comes with eight pre-programmed shift points, and unless you step on it, this CVT actually drops revs like a normal torque convertor. And because there's more torque available on this newer version ? 380Nm against 320Nm ? unless you are doing a 0-100kmph run, you'd never need to rev the engine past 2000rpm, be it in the city or for overtaking on the highway. So the question of living with constant high revs so typical of a CVT rarely arises. The A4 is now quicker too. 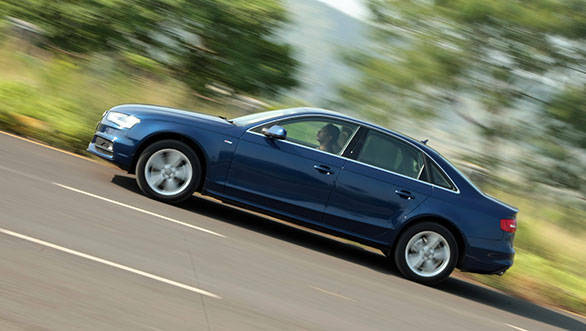 In our performance tests, the 177PS A4 completed the 0-100kmph run in 8.9s, almost a second quicker than the 143PS A4. It took another eight seconds to cross the quarter mile mark. The roll ons were brisk too with the 40-100kmph run taking 6.9 seconds compared to 7.7 seconds recorded by the latter. 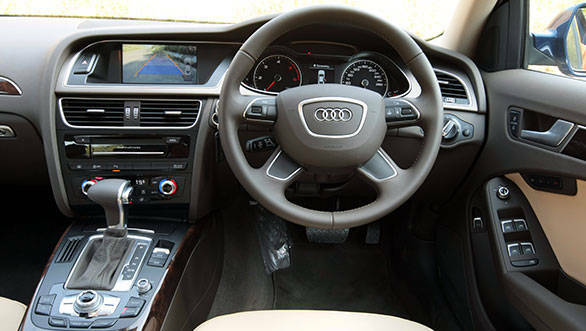 Top speed for this A4 is a claimed 222kmph, which again is an improvement; around 12kmph to be exact. 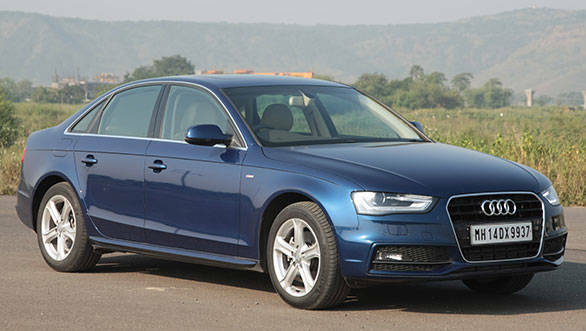 Best of all, the more powerful A4 returned better fuel economy figures as well ? 14.3kmpl against 13.9kmpl. A more powerful, torquier car is always welcome. The only question is how much extra should one pay for it? Now, we have seen the 177PS A4 is not only quicker, but also more efficient, and that alone should be worth some extra money. 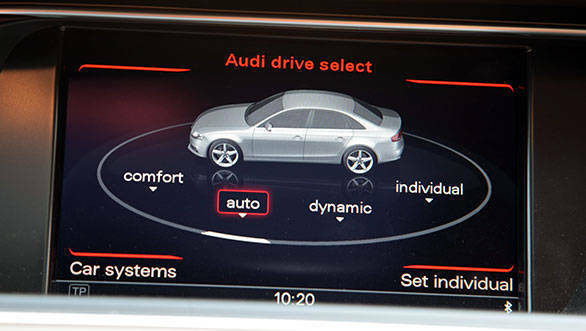 Additionally, the more powerful diesel gets Drive Select, different looking wheels, a sun roof, wood inserts for the interior, electric sun blinds for the rear windscreen, multi information display and cruise control, features which are missing on the 143PS diesel. And for all of this, Audi is demanding about Rs 4 lakh more. Is it worth it? We think so, unless of course you can get a significant discount on the 143PS as dealers look to clear stock.